CHARLOTTE, N.C. -- Twelve organizations in North Carolina, South Carolina and Virginia will share $777,879 in new grants from Duke Energy's Water Resources Fund to support environmental and wildlife programs. 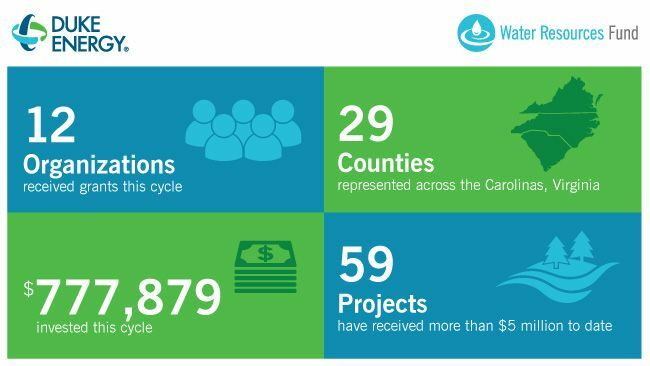 The Water Resources Fund is a $10 million multiyear commitment from Duke Energy to help local nonprofits continue to protect and improve the environment, including waterways used year-round across the Carolinas and neighboring states. 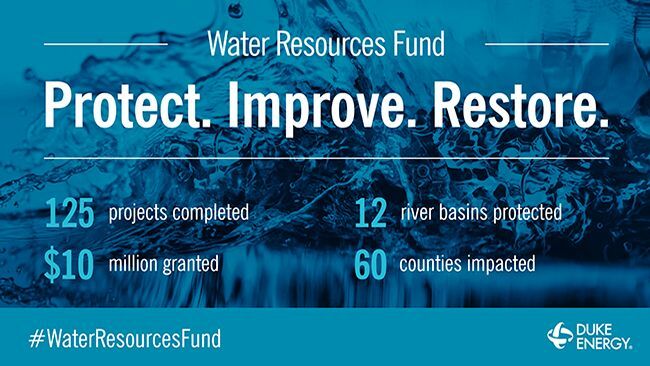 "In two years, the Water Resources Fund has benefited 59 projects across the Carolinas and Virginia, providing over $5 million in support," said Shawn Heath, president of the Duke Energy Foundation. "These projects are strengthening water quality and reinforcing the importance of conservation for citizens and visitors across the region." Recipients are selected by an independent body that includes five environmental experts and two Duke Energy employees. City of Greensboro, Parks and Recreation: Increased Americans with Disabilities (ADA) access at Lake Higgins – $37,965 to provide access to outdoor recreation at Lake Higgins to individuals of all abilities. The project will entail providing an ADA-accessible kayak/canoe launch, sidewalks and parking. "At Greensboro Parks and Recreation, everything we do is about building better lives to build a better community," said Wade Walcutt, Greensboro Parks and Recreation director. "The partnership and grant with the Duke Energy Water Resources Fund allows us do just that, by making Lake Higgins more accessible to residents of all abilities. We're grateful to the foundation for helping us improve our residents' health and wellness, as well as their quality of life." Land of Sky Regional Council: Water conservation along the Neuse and Haw River basins – $34,500 to conduct 22 water efficiency assessments for organizations with the highest water use in the industrial, commercial and institutional sectors in Chatham, Durham, Orange and Wake counties, where the Haw and Neuse watersheds are located. This project will help reduce overall demand for water by the largest consumers and extend public water supply capacity in the region. North Carolina Museum of Art Foundation: Upper tributary and forest improvement – $92,000 to improve the headwaters of the tributary to House Creek in the Ann and Jim Goodnight Museum Park in Wake County in an effort to reduce sediment and nutrient runoff in the Neuse River Basin. A new trail and signage will also provide visitors with an enhanced experience in nature. North Carolina Wildlife Federation: Little Tennessee Native Fish Conservation Area partnership – $85,000 to develop educational videos to inform and engage citizens, and an interactive web-based map to guide conservation efforts within the nation's first native fish conservation area along the Little Tennessee River system. NFCA is a new watershed-scale, nonregulatory approach to long-term conservation and restoration of native fish. 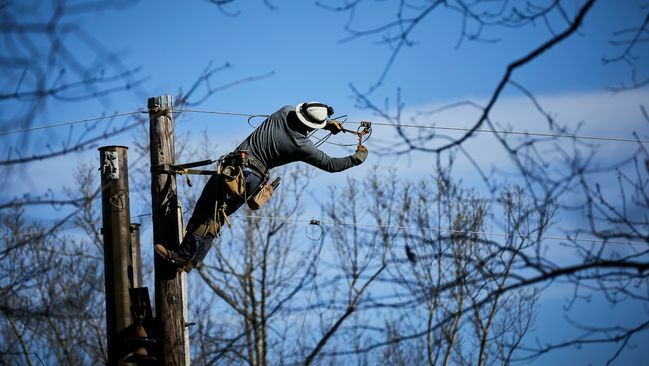 The project will benefit several counties, including Macon, Clay, Jackson, Swain, Cherokee and Graham in North Carolina. Southwestern North Carolina Resource Conservation and Development Council: Implementing stormwater retrofits in Maggie Valley in Haywood County – $71,000 to restore 200 feet of stream bank, install a fire truck washing pad and bio-filter, and implement stormwater best management practices with stream access points. These activities will improve water quality and help maintain the stream at a trout standard. Surry County Parks and Recreation: Highway 268 fishing and canoeing access – $72,712 to build one of 13 needed river accesses in Surry County to give greater public access to waterways. Plans include adding educational signs and parking facilities along with a water-access point. Town of Elizabethtown: Tory Hole Park improvements in Bladen County – $100,000 to construct a river boardwalk, provide ADA access in restroom facilities and install recreational facilities that minimize environmental impacts, such as swings along the boardwalk. This project will create greater access for residents and visitors to the park and improve awareness of its natural resources. University of North Carolina at Chapel Hill: Water quality monitoring system for Albemarle-Pamlico Sound estuarine system – $95,000 to construct two portable, ferry-based water quality monitoring systems for ongoing assessments of water quality along the Neuse River and Pamlico Sound ferry routes. Data will be shared with citizens, policymakers and other stakeholders to raise awareness of environmental quality in the Albemarle-Pamlico Sound estuarine system, the second-largest estuary in the nation. The project is part of UNC's Institute of Marine Sciences' ferry monitoring program, FerryMon. University of North Carolina at Greensboro: UNCG wetlands development – $46,112 to construct two wetlands on the UNCG campus to improve water quality and increase education, community outreach, research and campus beautification. Additionally, wetland maintenance will be integrated into UNCG's STEM curriculum. Pee Dee Land Trust: Black Creek Conservation Strategy – $35,000 to initiate a long-term process for strategic conservation of high-priority lands along Black Creek in Darlington County. PDLT will prioritize streamside lands, educate landowners about conservation options and complete two conservation easement projects. "The Black Creek watershed is where we got our start as an organization 17 years ago, and the people who live near this stream form the heart of our conservation community," said David Harper, Pee Dee Land Trust executive director. "The Water Resources Fund grant is right in line with our strategic conservation work – it allows us to take a closer look at streamfront properties that provide the greatest water quality and quantity benefits to the creek. We can then work with those landowners to develop plans that meet their financial and family goals while keeping the land in its natural condition, for this and future generations." Water Watch of Lake Wateree Association: Water quality program for Lake Wateree – $20,500 to identify and track algae growth on Lake Wateree. Through frequent water, algae and shoreline analysis, the project will identify causes and solutions. Community outreach is an important aspect of this project, aimed at seeking support for steps to reduce algae presence and growth. Town of Halifax: Banister River Blueway Project, Banister Lake Boat Landing and King's Bridge Landing – $88,090 to complete two river access facilities: upgrading the boat ramp at Banister Lake with a kayak/canoe hand launch and other improvements, and completing the Banister River Gateway Project to include interpretive panels at King's Bridge Landing. 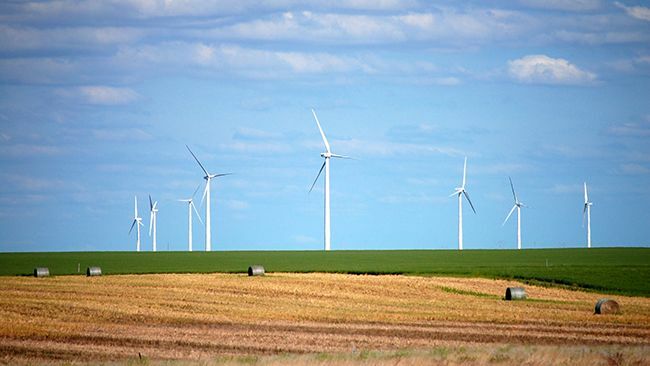 The project will encourage the protection of natural resources, including water quality and wildlife habitat, and help market outdoor recreation and natural heritage experiences.